Ross & Cromarty Roots | Jessie (Macnicol) Hendry. 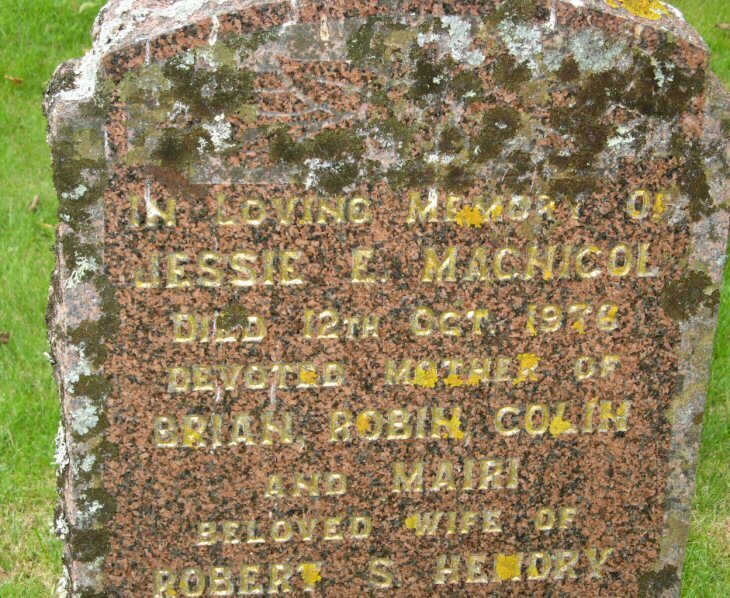 In loving memory of/JESSIE E. MACNICOL/died 12th Oct. 1976/devoted mother of/BRIAN, ROBIN, COLIN and MAIRI/bloved wife of ROBERT S. HENDRY. Picture Added on 02 September 2008. Added by Fiona on 04 August 2018. Added by Roddie Macpherson on 05 August 2018.